The earliest recorded history of Japan dates back to the reign of the emperor Jimmu during the sixth century BC. Political and economic power was in the hands of a group of noble dynasties that operated on a largely feudal basis. The 12th century AD saw the emergence of the shogun, a military governor drawn from one of the great families, who ruled with the consent of the others. Only an external threat such as the attempted Mongol invasions in the late 13th century would unite the various families against the common enemy. This helped create a latent national consciousness which slowly developed over the next 300 years. The actual unification of Japan began during the Tokugawa period (1600-1868). During this period, the shogun retained supreme executive power, retaining Japan’s unyielding resistance to foreign influence. However, in the late 19th century, a new breed of rulers took control and embarked on a programme of rapid industrialisation, establishing a Western-style system of administration. The military was the main driving force behind this process but formal executive power was in the hands of the Emperor, who inherited his position and was treated by most of his subjects as a demi-god. Japan’s imperial ambitions in the Far East developed, resuming after World War I (which Japan took little part in) with China as the main target. Japan’s subsequent collision with the British, who had substantial political and economic interests in China, contributed to her alliance with Germany in World War II. Between 1938 and 1941, Japan’s forces occupied China and South-East Asia. At its zenith, the Japanese empire, which carried the Orwellian title ‘Co-Prosperity Zone’, stretched as far south as Indonesia and eastwards far into the Pacific. The American response to the Japanese attack on Pearl Harbor slowly pushed back the Japanese over the following four years, on the brink of surrendering when the devastating nuclear attacks on Hiroshima and Nagasaki sealed the outcome. Japan was occupied by American troops who imposed the constitution in 1946 that governs Japan today. Throughout the East-Asian region lingers strong resentment at Japan’s brutal treatment of its subject populations, compounded by the fact that Japan was - and is - in denial about its history. Since 1950, Japan has overseen exceptional economic growth, becoming one of the world's most powerful economies. Tokyo dazzles with bright lights and high-tech gadgetry. Bustling cities burst with skyscrapers, bullet trains, trendy nightlife and rampant consumerism. Yet beneath the brash modernity beats an ancient heart. This is still the realm of the exquisite art of the geisha and the skill of the sumo wrestler; where ancient festivals are celebrated and food is elevated to an art form. And Japan is still a land of great natural beauty, from the snow festivals and lavender farms of the northern isle of Hokkaido to the sun-drenched beaches of the subtropical south. Whether you choose to climb Mount Fuji or relax at volcanic hot spring resorts, Japan is unforgettable. The Japanese flag is called Hinomaru (circle of the sun). The red circle on the white background symbolizes the sun. Japan's Imperial Crest is a sixteen petaled chrysanthemum. May the reign of the Emperor continue for a thousand, nay, eigth thousand generations and for the eternity that it takes for small pebbles to grow into a great rock and become covered with moss. In Japanese, the country is called Nihon or Nippon. The two Chinese characters may be translate as "origin of the sun" or "land of the rising sun". The name Japan is believed to have come from European pronunciation attempts of Chinese words for "Japan". Japan has no official national flower. Most people, however, consider the cherry blossom the unofficial national flower of Japan. 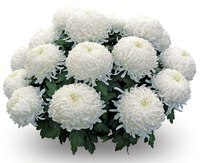 Furthermore, the chrysanthemum is the symbol for Japan's emperor.